The Washington Redskins took a big hit, as they will be without two key players for the upcoming season. 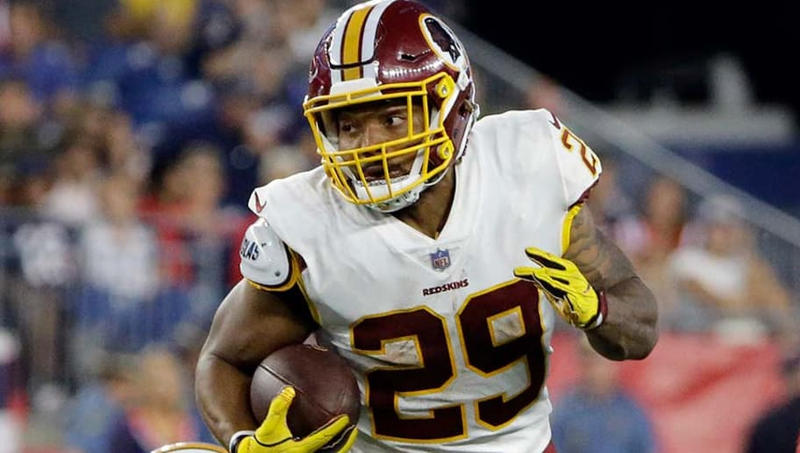 The Redskins announced that rookie running back Derrius Guice suffered a torn ACL in Thursday night's preseason game against the New England Patriots, as did backup TE Manasseh Garner. They are officially done for the season. Guice's rookie season, much heralded, is over before it even started. During Thursday night's game in New England, Guice showed off his skill set by rushing for a huge 34-yard gain, which was negated by a holding penalty. Later on in the game, Guice was tackled by the sidelines, where he hyperextended his knee while fighting for additional yards. The team initially reported that Guice ​likely suffered an MCL sprain, and expected him to miss some time. However, the MRI performed on Friday confirmed that the rookie's injury was much worse than initially anticipated. In the wake of the diagnosis, many within the organization are wondering if a previous injury with LSU doomed Guice. Complicating matters for #Redskins RB Derrius Guice: He suffered a hyperextended knee at LSU but never got surgery. Same knee. Tough to know if that played a part in the ACL tear, but it’s a question being asked now as Guice is set to miss the 2018 season. Brutal injuries for the Redskins, who will now have to regroup and fill the voids left by these two players before the start of the regular season.